SetonGuard® Custom Security Cut Asset Tags are made of anodized aluminum material with permanent etching to ensure minimal fading of colors and text over the lifetime of your equipment. These high-performance tags are specifically designed to withstand abrasion, chemicals, medical-grade cleaners, extreme weather, and rough handling. 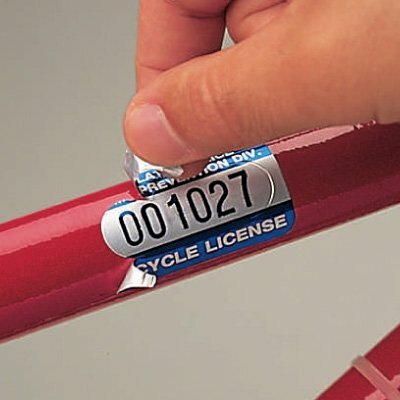 Applications - The best choice for bicycle licenses, town or county permits, hauler permits, golf cart registrations, or membership plates. SetonGuard® cannot be removed in one piece or reused, deterring theft and tampering. Protect high-value, indoor and outdoor assets with a service temperature ranging from -40°F to 350°F. Customizable Options - Available in four different sizes, five colors, and four different adhesive types. Choose between a gloss or matte finish and 3mm or 5mm thickness. Numbering options are also available in sequential, non-sequential, custom or no numbering. 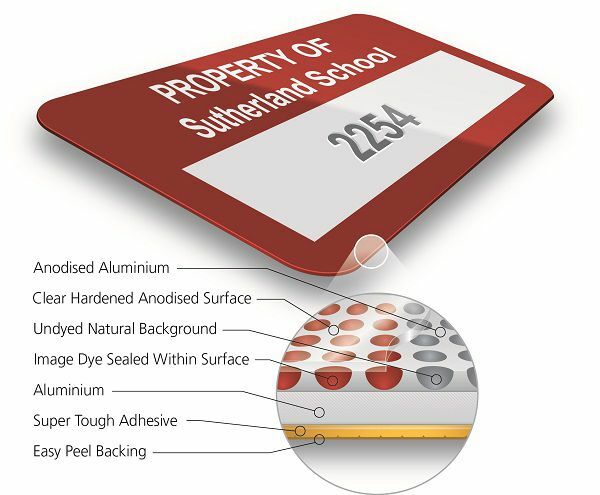 If you require a full color print please see our DuraGuard® Colorplus Asset Tags. Asset Tracking Software- AssetGuard Pro is a cloud-based asset management software that enables you to seamlessly add, track and manage all your assets between mobile and desktop devices. Use our free smartphone app to turn your device into a scanner.